International Peace Delegation is having talks in Turkey. 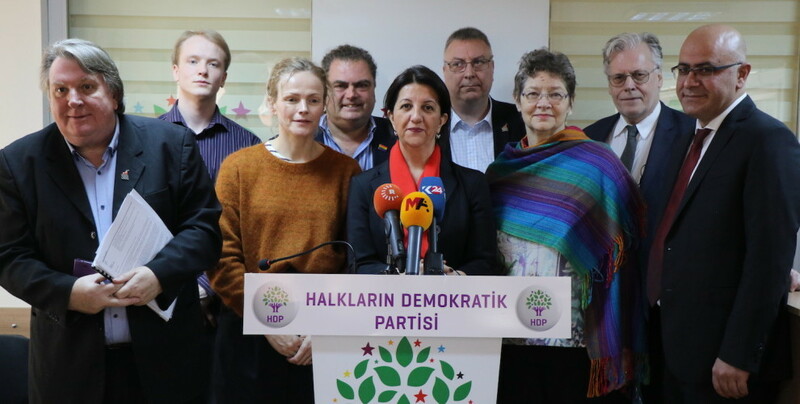 The members of the International Peace Delegation visited the HDP headquarters and met with HDP co-chair Pervin Buldan. 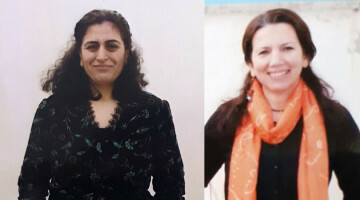 Buldan and the delegation discussed the isolation and the current hunger strike in Turkey and Europe and held a joint conference after the meeting. Buldan ended her remarks by saying: “I want to thank the delegation and their effort to bring isolation on the agenda of their own countries. Their efforts and work are of great importance for us. I would like to point out that it will make a great contribution to solving this problem." Jonasson continued: “Our common wish is to ensure peace. Some of us come from unions, NGOs, politics, but our commitment is one, we are all committed to peace. I want to say we're here for good purposes. I am a former Justice Minister of Iceland and a member of the Council of Europe. We expect the letter that we wrote to Turkey Minister of Justice to be answered to. There was a declaration recently issued by the European Parliamentary Assembly, stating something similar to what we said. They said that isolation should be lifted and we, as a delegation, are sharing this declaration by the Parliamentary Assembly. We are concerned about the situation of those on hunger strike. 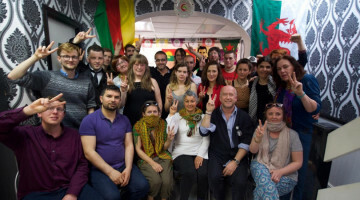 We recently visited 14 people who are on hunger strikes in Europe. It was both a depressive and inspiring visit. It was inspiring to see them so determined. 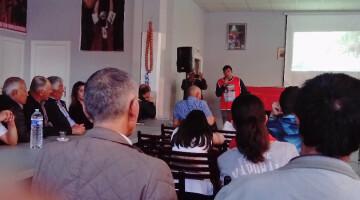 But it was at the same time depressing to see people having to go through such a heavy situation to make their voices heard." 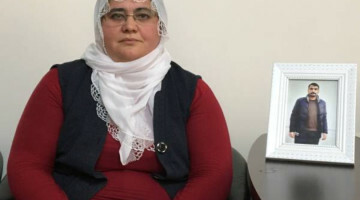 Argentinean Human Rights activist, economist and academic Beverly Ann Keene said: "First of all, I want to convey my feelings of solidarity, that is why we are here, both to be in solidarity with the Kurdish people and to demand the end of isolation against Mr. Abdullah Öcalan. 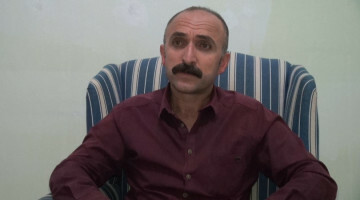 The removal of isolation against Öcalan is of vital importance. This isolation has to be lifted. The rights of Kurds, women's rights and ecological rights are linked to this isolation. We have seen this things in Latin America. There, the important thing was that people joined forces. Now, this is what is important to achieve in Turkey, that everybody joins forces against the human rights violations. Because no one should be allowed to implement such a terrible practice in prison, this should not be accepted. The demands of the hunger strikers should be listened. Their demand is the respect for basic human rights." Manuel Cortes (TSSA Secretary General of British Transport Association) said: "We are here representing other unions in the UK, we are here as representative of 7 million workers. We are here to support. We are here in solidarity and support with Turkey. We are here to invite Turkey to comply with its domestic law. To say to Turkey to respect human rights. I hope that the Minister of Justice of Turkey agrees to meet us and explain to us the reason for such an injustice." Former Iceland Interior and Justice Minister Ögmundur Jónasson, Secretary General of the British Transport Union TSSA Manuel Cortes, Argentinean Human Rights activist, economist and academic Beverly Ann Keene, UK union lawyer Paul Scholey, British writer, film director and actor Maxine Peak, Connor Hayes from Edinburgh University and Tony Burke, Assistant Secretary-General of UNITE.